Is Enid Blyton as popular today as she’s always been? In our family, Enid Blyton played a big role in encouraging our love of reading. My Mum would buy us books like the Faraway Tree and The Secret Seven and many a cosy afternoon would be spent by the fire reading these books. However, the value of Enid Blyton’s books hasn’t always been recognised. At one time, libraries removed her works from the shelves, doubting their “literary value” and later this happened in some schools as well.Now, however, it seems that we have seen the error of our ways and these books which are so popular with the children have been duly returned to our school and libray shelves. How could you argue with stories as magical as “The Faraway Tree”? If you don’t know what a Pop Cake is ….or a Toffee Shock, do buy these books for your children. I remember my four year old son begging for “just one more chapter please” as he travelled with the children in the story to the “Land of Do-As-You-Please” and the delicious ” Land of Treats”. We had a vote in a children’s book club I ran a few years ago, and the book that won Best Book of all time as voted by the 8 year olds was Blyton’s “Wishing Chair” books, a series quite similar to the Faraway Tree stories. Then, of course you have the school stories – The Naughtiest Girl in the School (great books for8 year olds) Malory Towers (from 9 or 10 years old) etc and then not forgetting The Secret Seven, Famous Five and the less well known, but possibly even more brilliant books, “The Sea of Adventure“, “The Island of Adventure” etc (for a slightly older reader than the Famous Five), probably age 10+. Finding books that their child will really like is a challenge for any parent. I have, on many occasions, stood in a bookshop or library wondering which are the really good ones. But it doesn’t have to be such a hit and miss affair these days thanks to modern technology and the web. If I am looking for a book for my son to read, I usually go into a bookshop, note down possible titles and then go and look up the reviews, before putting the ones with high star ratings to my son for his approval. Obviously it takes a bit more work than just taking a chance on a book, but it certainly cuts out alot of frustration for my son and cuts down on the cost for me ensuring that I don’t purchase lots of mediocre books. However, if you haven’t got much time, our site Hummingbird Books, cuts out a lot of this preliminary leg work , as we list only books that have been given good star ratings by our test readers. So, if you’re interested in only finding the very best books for children, click on the link and see what your children think! Last week, we asked the frequently-asked question, “Is there life after Horrid Henry?” Children seem to love HH so much, that he becomes a sort of comfort blanket and they find it very hard to move on to something else. The same seems to apply to Daisy Meadows’s Rainbow Magic books, but with a bit of patience it really is possible to move on. Class 3 (a mixed age class with children from the age of 6-9) with whom I regularly work, have one 7 year old girl who was pretty much addicted to the Rainbow Magic books and just didn’t want to move on to anything else. But now we have discovered the Secret Mermaid series – they look very similar, with a fairly large font, lots of illustrations and not too long a book and she seems very happy to read them. Having discovered a new series that she is comfortable with, I don’t think it will be a problem now, to move onto other series. It was almost as if she felt, and others like her felt, that they wouldn’t be able to manage anything other than the Rainbow Magic books. It does appear that taking things very slowly at this critical point in their reading is the most important thing. Other possible series at this stage include the Stardust books eg “Magic by Moonlight” and “My Secret Unicorn” books. For more book ideas at Hummingbird Books click here. Is there life after Horrid Henry? This seems to be a regularly asked question by teachers and parents. At one of the schools I work in, so many children who are really good readers (Stage 13+ of the Oxford Reading Tree) seem to find it difficult to move on from Horrid Henry. Good all Francesca Simon really seems to have got it right in terms of the subjects children like, a simple reading level as well as lots of pictures. My feeling is that to stick with this formula is perhaps the best and not to try to leap from Horrid Henry to the Famous Five or other thick chapter books, however much we enjoyed them as children – it has to be a really gradual transition! Try Ricky Ricotta, which although quite simple will show your child that there really is life after HH! Also the Geronimo Stilton books which have lots of pictures throughout the text and are great fun! All the best children’s book recommendations from Hummingbird Books. Hummingbird Books is a site which recommends books that children themselves have rated as “amazing”, “5-star” or just “really, really good”. We believe that the first step in encouraging children’s love of reading is to make sure that they have access to books that they really want to read. That’s why we talk to children every week to find out their current favourites and it is these books that we feature on our website. We have now joined a brilliant scheme which enables you to have our great recommendations and be able to buy them at great prices too! Every time you click on a “Check price/BUY NOW” link at Hummingbird Books, you will be redirected to Amazon.co.uk, where you can buy at their amazing prices, knowing that you will be helping to keep our site going through the commission we receive on every book sold . 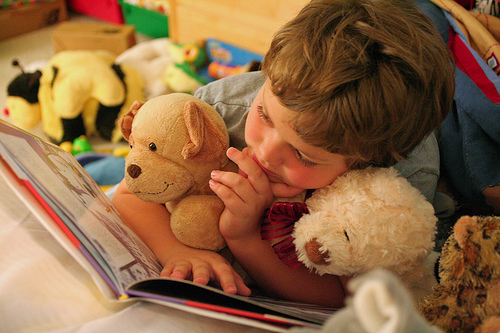 You are currently browsing the archives for the best books for children category.